Mauritania's economy is dominated by natural resources and agriculture. Half the population still depends on agriculture and livestock for a livelihood, even though many of the nomads and subsistence farmers were forced into the cities by recurrent droughts in the 1970s and 1980s. Recently, GDP growth has been driven by foreign investment in the mining and oil sectors. Mauritania's extensive mineral resources include iron ore, gold, copper, gypsum, and phosphate rock, and exploration is ongoing for uranium, crude oil, and natural gas. Extractive commodities make up about three-quarters of Mauritania's total exports, subjecting the economy to price swings in world commodity markets. Mining is also a growing source of government revenue, rising from 13% to 29% of total revenue between 2006 and 2013. China was Mauritania’s main export and import partner 2013. The nation's coastal waters are among the richest fishing areas in the world, and fishing accounts for about 25% of budget revenues, but overexploitation by foreigners threatens this key source of revenue. Risks to Mauritania's economy include its recurring droughts, dependence on foreign aid and investment, and insecurity in neighboring Mali, as well as significant shortages of infrastructure, institutional capacity, and human capital. 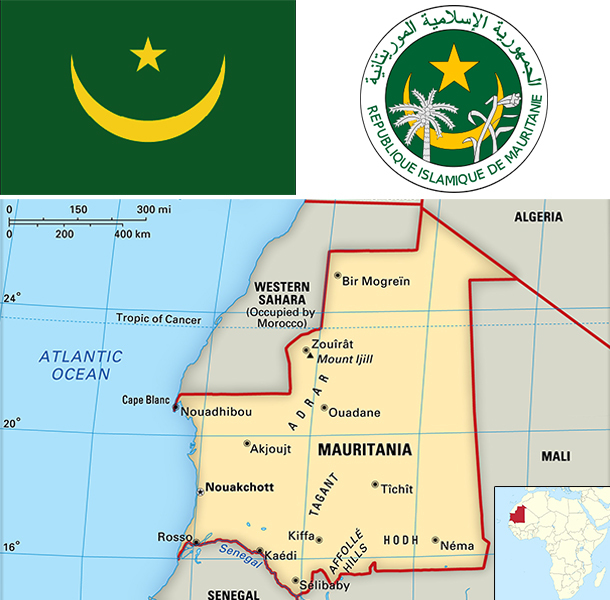 Mauritania has sought additional IMF support by focusing efforts on poverty reduction. Investment in agriculture and infrastructure are the largest components of the country’s public expenditures.